Cloud hosting has developed so much in recent years. The best benefits it brings for growing companies are reducing IT maintenance issues, allowing businesses to better scale their internal operations, and everything in between. One common technical question when growing businesses consider moving to the cloud is whether host their business applications, including ERP, in a single-tenant or multi-tenant architecture. But before we delve deeper into the benefits and drawbacks of single-tenant and multi-tenant hosting options, we need a clear definition of what they are. So, what is single-tenant hosting? Single-tenant hosting is an architecture where each company has their own instance of the business application and supporting infrastructure. Think of it as a house in a neighborhood community where the house owner can customize their house to meet their personal needs. 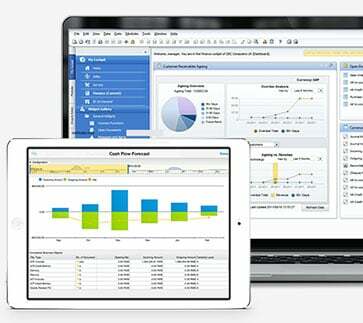 A single-tenant hosting architecture will allow the user to configure and customize their ERP as they see fit. And what is multi-tenant hosting? Multi-tenant hosting is an architecture where multiple companies share the same infrastructure to store their business data. The infrastructure is designed so that business information is partitioned keeping data belonging to each company separate and secure. A good analogy of this is multiple tenants occupying an apartment block. Tenants have their own units and are able to configure their own living space however they want to. 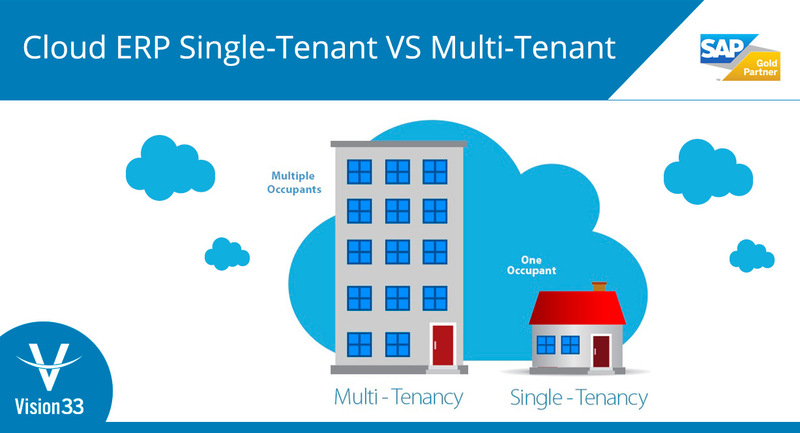 Now that we have a clear definition of single-tenant hosting and multi-tenant hosting, let’s compare their benefits and drawbacks. Increased privacy as all applications that belong to a user are housed in one instance. Tasks with intensive computing requirements can make full use of the system. Better control over upgrades. Upgrades can be can be performed at your own discretion. Single tenant systems are easier to back up and restore since each client database has its own separate back up. With the single-tenant hosting model, the user must bear the costs of the entire system alone. In general, it is more expensive than a multi-tenant hosting solution. The solution is more popular with growing businesses as costs are generally lower than single-tenant solutions. With resource pooling, there are considerable savings in hardware and power. Multi-tenancy has seamless forced upgrades as upgrades don’t require any level of per-user intervention when other users are upgraded simultaneously. Since multiple tenants run their applications off the same code and database, individual users have less ability to customize the applications to their specific needs. Updates could be deployed to your business without your authorization as you are relying on the same code base as the other users. The decision to move your ERP application to the cloud and choosing whether to opt for a multi-tenant hosting solution or a single-tenant hosting solution is not an easy one. Ultimately this depends on what is best for your business operations and the makeup of your growing business. If you would like to seek advice on the cloud and which hosting solution would suit your long term requirements or growth potential, contact us at contact@vision33.com. We have one of the largest team of local certified business consultants that are more than happy to reach out and discuss your business requirements. With over 700 customers around the world and counting, Vision33 is the only SAP Business One partner worldwide that holds the AWS SAP Competency, Vision33 has the expertise and team to help you - whether you are evaluating deployment options for SAP Business One or want to migrate SAP Business One from on-premise to the cloud.